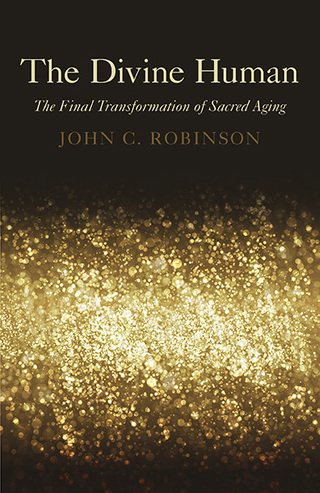 In his latest book, John Robinson describes for the first time the ultimate possibility of awakening the Divine Human. Sharing his own experience of divinity, he echoes the words of mystics from around the world and explains the incredible importance of aging in achieving humanity's highest expression of love and purpose. While the world's great religions have long prophesised the coming of a new savior, they did not fully imagine the that the new savior would be you and me. Here is the final transformation of sacred aging. We elders are pioneers of a new and mystical consciousness constantly leaking through the walls of denial and intellectualization. Sacred conscious aging blossoms as we intentionally experience and integrate this awakened state into our lives. The Divine Human argues that we have forgotten how to experience our divine nature and the radiant world it reveals. In this amazing book, we learn that all consciousness and being are divine, that the divine lives in the depths of conscious being resulting in the awakened perception of divinity everywhere, and that this unity experience leads to sacred action in the world as the next step in our spiritual evolution. John brings his considerable years of study, reflection and life experience to this inspiring book that opens us to the divine, the sacred, the mystical. He brilliantly brings his considerable years of study and experience to his words which open us to a foundation and an invitation; offers us quotes for contemplation and reflection; shares his own profound mystical experiences and wisdom; and suggests practices to take us deeper into our own experience of the mystical. This little gem of a book is a life course for those wishing to deepen their connection to the Divine, and a must for those in their elder years who are seeking the riches of a deeply spiritual life. In his book, “The Divine Human,” author John C. Robinson, Ph.D., D.Min. elevates the frequently mundane conversation about aging to nothing less than a revelation of our relationship to God as we enter our golden years. He describes “The Divine Human” as a “handbook for Elders”, but don’t be fooled into thinking it is anything as simplistic as a trail guide to the universe. The book is much more than that, and we are fortunate that Dr. Robinson pays serious attention to a time in life even experts frequently reduce to advice about exercising more, worrying less and spending wisely. This is book is for those who are not afraid to grow old. In fact, the engaged reader embraces the idea of going deep within him or herself to fully experience a sense of the divine for which our ego-driven younger years, consumed by production and accumulation, left little time. The author encourages us to leave behind lives driven by doing so that we can enter the richness of being. Dr. Robinson is steeped in the arcane, having earned advanced degrees in psychology, interfaith spirituality, and mysticism. He has published 8 books on the aging experience, always pushing the frontiers of our understanding well beyond simplistic variations on decline in which our youth-oriented culture has wrapped this life stage. But “The Divine Human” is not simply an intellectual’s musing about how we can become more conscious elders. Practical journalling prompts illustrate the point of each chapter, encouraging us to take steps beyond understanding into the core of our beliefs. We have a responsibility, the author posits, to accept our roles in this emerging shift in consciousness that, collectively, can change the world, moving it beyond all falsehood of the younger worlds we’ve inhabited. Meditation, sharpening our sensory experience of the word, and allowing the flow of divine energy into our uniqueness are key takeaways of “The Divine Human”, which should assume a prominent place in the library of anyone seriously searching for a better way to age.